Following a ketogenic diet can be a great way to lose weight. And there are tons of other health benefits too. 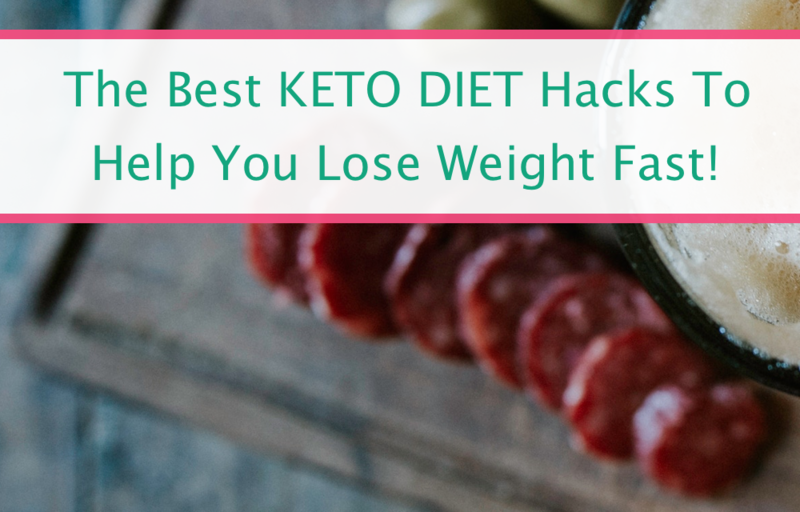 In order to achieve ketosis—when your body starts to burn stored fat for energy instead of carbs—you want to be getting most of your daily calories from fats. Like 75% from fats—think avocados, beef, fatty fish, olives, walnuts, nitrate-free sausages and bacon, butter, eggs, cheese, heavy cream. And only 5% of your daily calories should be coming from carbohydrates if you REALLY want to experience the full benefit of the keto diet. The first few days can be pretty easy on keto…it’s when you start to feel those sugar cravings (or let’s face it, donut cravings) again that it gets challenging. But here’s the good news! 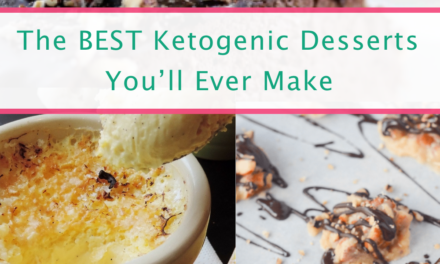 There are tons of awesome tricks to help you stick with your new keto lifestyle, and I’ve compiled them all for you! 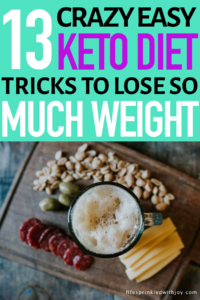 Check out these great tips and tricks to help you stay on the keto diet and keep losing the weight! Okay so this is probably the most basic and essential tip for staying on the keto diet. When you first get started on a high-fat, low-carb diet you’ll want to stock up on all the food you CAN eat and get rid of all the food you have lying around that you CAN’T eat. The best way to do this is make up a meal plan. I’ve been trying this one out and I’m loving all the recipes! You’ll also want to stock your pantry with all the keto cooking and baking essentials, like coconut oil, walnuts, almond flour, unsweetened coconut flakes, flax meal, cocoa powder, sweetener, and baking soda. The great thing about eating meals high in fat is that they really do keep you fuller longer. I eat breakfast (usually this yummy sausage and egg casserole found here) at 7 AM and last until 1 without needing to snack! I definitely wasn’t able to do that on my old breakfast of cheerios and berries. But I still pack snacks in case I need them, and it helps knowing I have something keto friendly on hand if I ever need an energy boost. So whenever you leave home, pack some snacks with you. String cheese (full fat), walnuts, pepperoni slices, dill gherkins, hard-boiled eggs, cucumber spears and guacamole are my traditional go-tos. Doing keto doesn’t mean you have to stay in every night and never go out with your friends. You can certainly go out to eat, you just need to know what to avoid to help you stick to the diet and stay in ketosis. 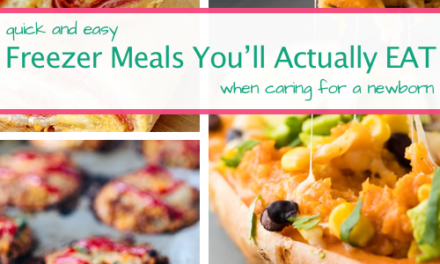 I’m all about easy recipes and easy snacks. With a 1 year old to chase around the house I don’t have a ton of time to cook. Or even make a snack. 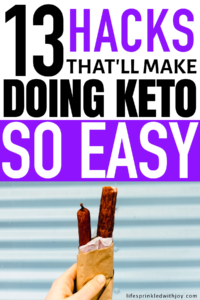 So I stick with what’s easy—string cheese, nuts, dill pickle slices, hard-boiled eggs, pork rinds, keto-friendly slow-cooker meals, and even snacks that are easy to get ready-made at the grocery store, like parmesan crisps and salami and cheese roll-ups. And like I mentioned earlier, you’ll want to make sure you’re pantry and fridge are stocked with all the essentials to help you curb and satisfy your cravings while doing keto. I always get a high-percentage dark chocolate bar (like above 72% – the higher the better!) and parcel it out throughout the week. 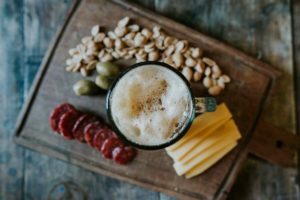 You’ll want dill gherkins to satisfy any tangy and salty cravings, along with pork rinds and olives (I typically get kalamata olives). If you plan on doing some of those Pinterest keto desserts to satisfy you’re sweet tooth, most recipes ask for coconut oil, almond butter, coconut flour, flax meal, natural sweetener like this, thickening and binding agent like this, and cacao or cocoa powder. Keeping track of your daily carbs can be kind of a chore, which is another great reason to plan out your meals and snacks in advance! 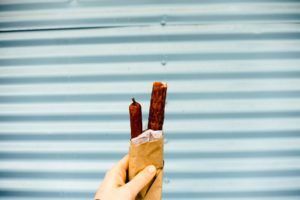 Still, actually logging each thing you eat brings an element of accountability and can help you stay on track. 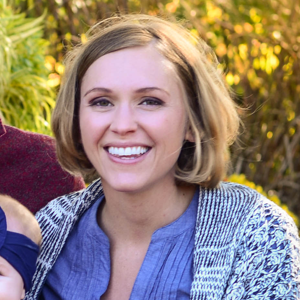 With technology and smart phones there are tons of ways to make logging your food easy. I like My Fitness Pal, FatSecret, and Carb Manager when it comes to the keto diet. Also, let your phone find the most keto friendly options near you. 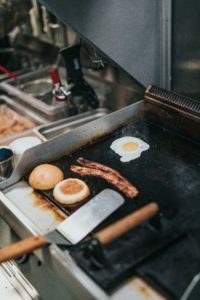 Keto Finder can tell you want to order at local restaurants. It works by allowing users to share the keto friendly meal options they find out and about! Intermittent fasting is sort of a new diet trend too, and it works great with the keto diet. So consider planning for 2 meals and a small snack each day and watch yourself lose the weight faster! Sleep is always beneficial, and especially when you are dieting. Avoid consuming more than 100 mg of caffeine each day to keep your sleep cycle in check, and try sipping on a cup of this sleepy time tea before bedtime. If you still have trouble falling asleep, consider diffusing lavender essential oil near where you sleep each night. Doing the keto diet right means you have to focus on more than just your carb intake. You want to make sure 75% of your calories are coming from fat. That’s a lot of fat, and you kind of have to be intentional about consuming fat since before starting the keto diet you probably avoided fat at all costs. So now’s the time to enjoy butter again. Whip up some bulletproof coffee in the morning. Add butter to your steak and cooked green beans or spinach. Just add butter to everything, you name it! This healthy fat will help you feel fuller longer and will help cut down on snacking, so up your butter! You also no longer have to avoid creamer either. Heavy whipping cream is another staple of the keto diet—add some to your coffee and eggs or make some whip cream (using pure vanilla extract and sweetener like this) to top your yummy keto waffles Sunday morning (find the recipe and more here). Even though you’re dieting and may feel low on energy until your body enters ketosis, you’ll still want to keep up on your exercise. Even if you don’t feel like doing much, try for a long walk and some strength training to keep your metabolism going and maintain muscle mass. When starting the keto diet your body will first start losing water weight as it starts to transition from burning carbs to burning fat. You should aim to drink AT LEAST 64 ounces of water. I shoot for 90 oz each day. If you want to be absolutely sure you’re in ketosis, take these ketosis test strips to make sure. These will help you know if you’re doing things right or where you might still need to make changes. I actually like having these test strips because they provide motivation—I love seeing when I’ve actually made it to ketosis! 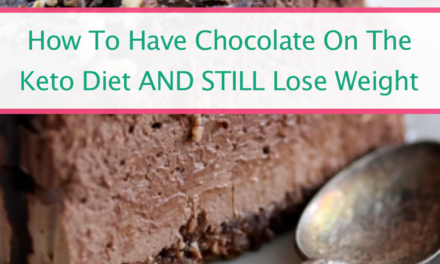 Chocolate is probably the thing I miss the most on keto, so I’ve found some ways to get my chocolate fix without knocking me out of ketosis. I already mentioned how I usually get one high percentage dark chocolate bar and have some throughout the week. Usually just a tiny square of it satisfies my cravings. If you found this post helpful, share it! 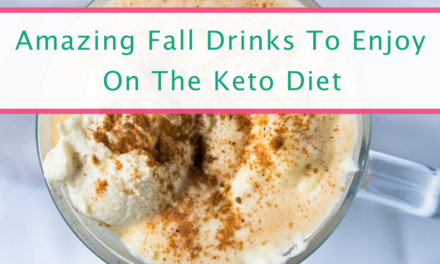 And if you have more tips on how to stick with the keto diet I’d love to hear them!